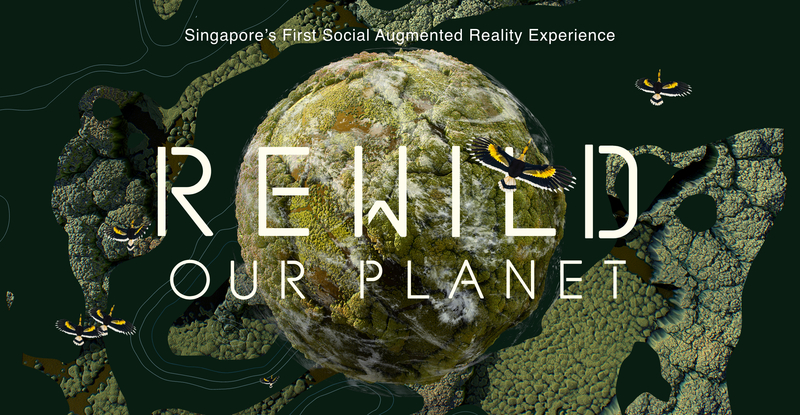 This persistent augmented reality (AR) social experience will take you to the last wilderness landscapes on Earth. Experience our planet like never before as entertainment and technology converge, bringing the deepest oceans, the most remote forests and vast ice caps to life all around you. Born from the collaboration of WWF, Google, Netflix, ArtScience Museum at Marina Bay Sands and PHORIA, REWILD Our Planet is based on a new Netflix original documentary series created in partnership with WWF. Our Planet is an eight-part original documentary Netflix series shot over four years, in collaboration with Silverback Productions and WWF. Voiced by Sir David Attenborough, the series will showcase the world’s incredible species and most at-risk habitats in ways they have never been seen before. More than just a showcase of the planet’s wonders, Our Planet aims to inspire people around the world to understand the natural world as never before. Our Planet highlights the urgent need for action to restore nature, working solutions we already hold in our hands. No spam, by submitting you agree to our WWF's Personal Data Protection Policy. As this is a shared experience, it is much better when you share it with a friend or relative, which is why 1 device will serve 2 people and to ensure the availability of your device, please come 10min before your booking time.